Lots of Art In Wax going to new homes this month …..
Its been a very busy Month, in fact its been a great year for Art In Wax, having sold more this year than ever before….. I don’t close my online shops (here on Art in Wax and on Etsy) over the Christmas holidays but wanted to let you know that the last day I am posting orders before Christmas will be Monday 19th December 2016. 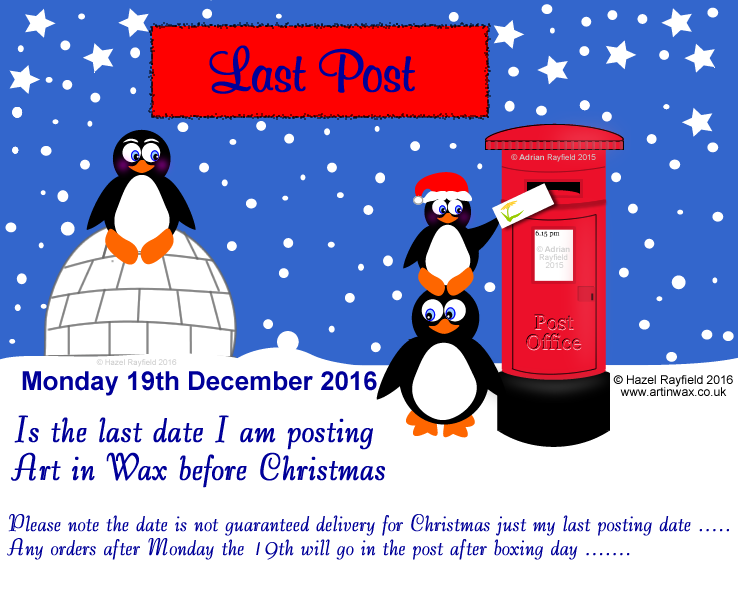 Please note the date is NOT a guaranteed delivery for Christmas just my last posting date …. If you place an order over the Christmas Holiday period that is fine by me, however orders after Monday the 19th will go in the post after boxing day …….